Gum covers the alveolar portion of jaws and the neck of teeth. Though gum is one of the important tissues, still it is often neglected and forgotten. If you don’t take care of your gums, then you may suffer from various ailments of the gums including periodontitis, gingivitis and recession of the gums. 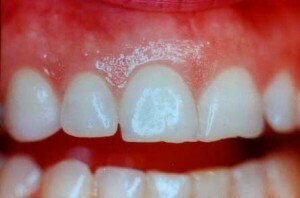 Sometimes, white patches or spots may develop on your gums, which may be a cause of worry. In this article we will discuss what these white gums mean and how you can maintain good oral hygiene. White gums around some teeth may develop due to irritation in some cases. Some of the common causes of irritation of gums include home treatments of teeth-bleaching or a broken or chipped tooth. Irritation may also occur due to tobacco use both in the form of chewing and smoking. Eliminating the use of tobacco is the treatment in such cases. A heavy tobacco user may have to visit a dentist every three months to get treatment. White gums around teeth usually occur after tooth extraction. It is usually of no concern, unless the area of the gums that turns white is large. However, you'd better call the dentist if there are any complications after tooth extraction procedure. Gum tissues may turn white due to various reasons. For instance, lack of blood supply may cause a buildup of dead gum tissues. In majority of the patients, dead tissue disappears within a few weeks. In some patients white gums after tooth extraction may develop due to dry sockets. After tooth extraction a blood clot is formed in the empty tooth socket. The blood clot may get dislodged leading to the occurrence of dry socket. Normally, yeast Candida albicans resides in the mouth without having a negative effect. White patches may appear on the tongue and inner cheeks if the yeast multiplies more than normal. White patches may also appear on the back of the throat and gums, though it is less common. Candiadiasis can finally travel to other parts of the body, leading to death of the person if left untreated. It is a very common infection and doctors commonly prescribe antibiotics for its treatment. 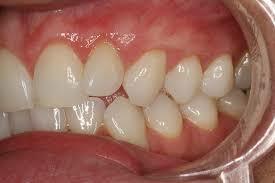 Gingivitis, a common gum disease is one of the most common causes of white gums around teeth. 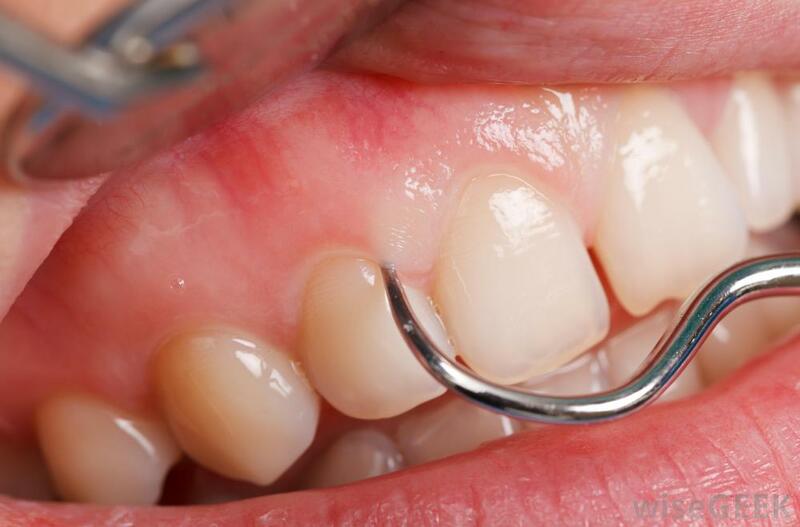 Gingivitis can cause inflammation to the gum tissues, which can lead to a change in color of the gums. Other symptoms such as receding gums, bleeding and foul breath may also occur. Luckily, gingivitis can easily be treated with medicines. While treating the inflammation of the gum disease, it is necessary to maintain optimal oral hygiene, which may actually promote healing. When thick, white layers form on the gum tissue, the condition is referred to as leukoplakia. Chewing tobacco is one of the major causes of leukoplakia. Though not particularly dangerous, the condition should be avoided. In some rare cases, leukoplakia represents early stages of oral cancer; hence, a dentist should be consulted in case of leukoplakia. Cancer appearing on any part of the mouth is referred to as mouth cancer. Some of the common signs and symptoms of mouth cancer include a sore that does not heal, formation of a lump, white or red colored patch, white gums around teeth, loosening of teeth, pain in tongue, pain or stiffness in jaw, pain while chewing or swallowing and sore throat. The exact cause of mouth cancer is not identified but there are some conditions that increase the risk including tobacco usage, heavy alcohol usage and excessive exposure of lips to sun. HPV or human papillomavirus, which is a sexually transmitted virus, can also cause mouth cancer. Treatment depends on the location and extent of the cancer and includes an appropriate combination of surgery, radiation therapy and chemotherapy. Note: People whose immune system is compromised may also develop white gums. Besides, do remember that the pale pink gums are usually considered healthy. Unhealthy white gums near your teeth are not uniform and may also occur on the tongue and inner cheeks. Drinking soda regularly is bad for your teeth. The citric acid and phosphoric acid present in soda soften the tooth enamel making tooth more prone to develop cavities. Replace soda with water. Crushed mint leaves or berries or sliced citrus fruits can be added to water to flavorize it. Tooth decay is accelerated by sugar which fuels acidity and bacteria in the mouth, leading to formation of plaque on the gums and teeth. Cut down on sugary meals and make it a habit to brush and floss your teeth after every snack or meal. Though people usually know that it is good to brush their teeth two times a day, but most do not know the proper techniques to brush. The toothbrush should be held at a 45-degree angle pointing toward the gum line. It is recommended to use short, gentle, circular motions. Each tooth should be brushed 10-15 times but avoid overdoing it as the teeth may be damaged and the gum line may be eroded. Flossing regularly improves the health of teeth and gums. However, there is a right way to do it and doing it wrongly can damage the gum line. A foot of floss should be wrapped around the index fingers, while keeping a distance of around 2 inches between the fingers. A fresh section of floss should be used for each tooth and the floss should be kept tight while working with it. Is Baking Soda Bad for Your Teeth? What Causes Bumps on the Roof of Your Mouth?